This topic has 2 voices, contains 12 replies, and was last updated by TB Support 766 days ago. how can i enlarge the viewable area in the desktop and mobile to together? You can increase the maximum website width from Theme Settings > Style > Common and leave the other settings as they are. is it possible to extend all the item(slider,banner,product etc) so as to occupy the black rectangle in two side in mobile view? also is it possible to set the min width of the Column left/right area in desktop view? please also tell me how to set the min width of the Column left/right area in desktop view? 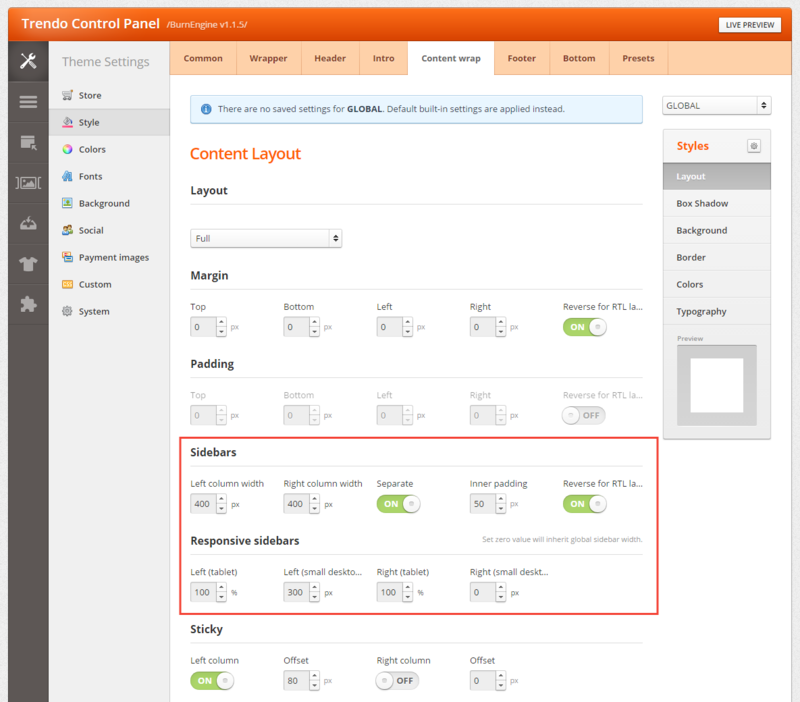 Sidebars width can be controlled from Theme Settings > Style > Content Wrap > Layout. i know the Sidebars width can be controlled from Theme Settings > Style > Content Wrap > Layout. but i want to know how can i set the min width of the Column left/right Sidebars. Please check again the settings in Style > Content Wrap > Layout > Responsive sidebars. There you can set sidebars (right and left column) width for smaller resolutions. You have a custom style for the Coat category which overwrites the settings for All categories. Please check. We’ve already changed GLOBAL settings and everything seems fine in the Account section.